What’s the scoop: Barry may be out of prison but that’s about the only good news in Barry’s life. He’s been effectively fired from his job because DeVoe’s miracle “resurrection” doesn’t quite add up. He’s having to watch Ralph’s back while searching for the final four metas from the bus. It’s not exactly all wine and roses for DeVoe, either. His master plan isn’t without missteps. First he becomes more of a jerk to The Mechanic with each body switch. 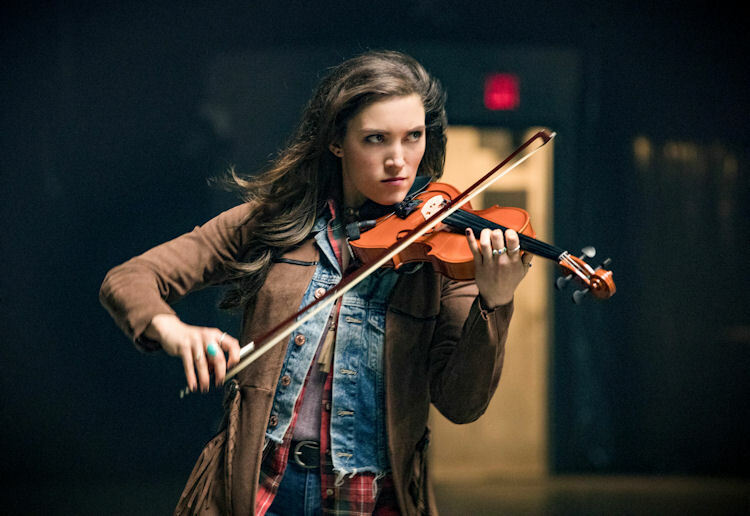 Most glaring is that the more powers he collects, the faster he burns through bodies, which makes the race to the next meta, an aspiring country singer named Izzy Bowin, vital for him too. Meanwhile in B-plot Land: Harry is back from his jaunt to his home Earth and runs into Cecile in the newly rebuilt (again) Jitters. Cecile has been having trouble sleeping because Joe dreams loud and weird with all those thoughts being broadcast into her head. This paring does a good job of providing the light-hearted moments in the episode. Harry’s first go at a telepathic dampener is a helmet that’s heavy as a bowling ball and not exactly geared for a good night’s sleep. 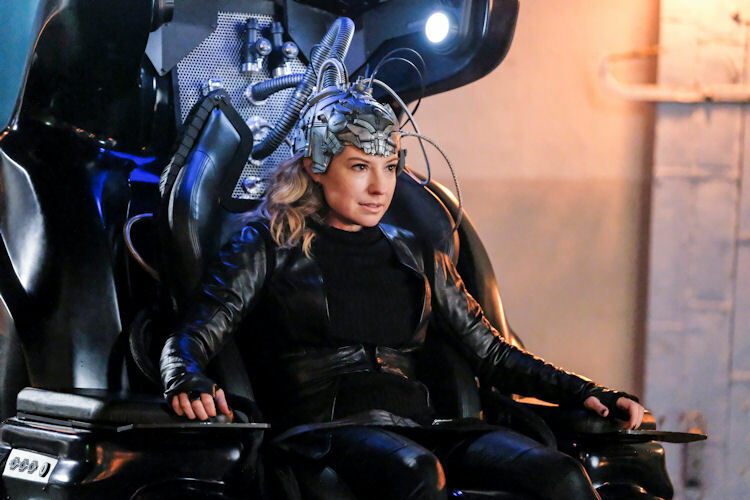 During the process creating a 2.0 version of the device, he discovers it can be modified to inhibit DeVoe’s ability to jump from body to body, if they could only get it on his head. What about the action: Barry and Ralph find Izzy in a saloon and come off creepy has hell as two random guys with ominous warnings about someone trying to harm her. Despite his protestations about her style of music, Ralph is immediately smitten with the fiddle playing meta. It’s not until they later confront her in their alter-egos and there’s a quick battle with DeVoe that the fiercely independent Izzy reluctantly decides to join the two heroes. Much of the middle section is a twist on what has become a classic Flash formula. Barry sees the damage Izzy did to DeVoe, so instead of merely trying to protect her, Barry decides to train her. 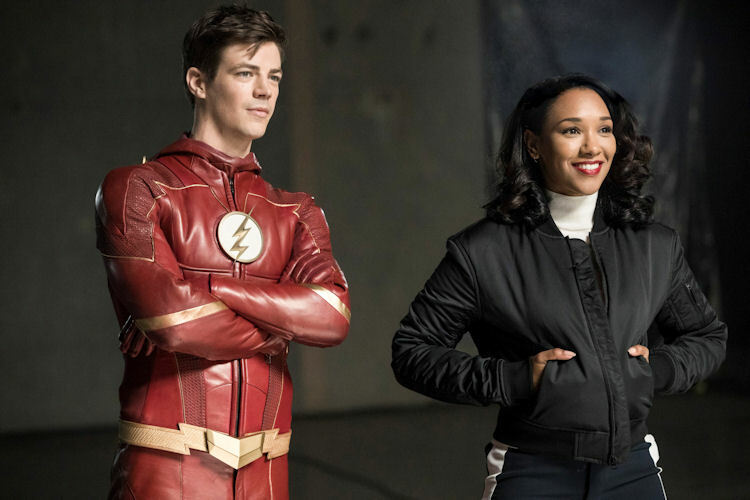 Barry pushes her extra hard, which is reminiscent of the Season 1 training that Barry endured under the eye of “Harrison Wells.” Izzy pushes back and even though Ralph makes a stirring plea noting all the great things Team Flash has done for him, she still strikes out on her own. Of course, DeVoe finds her and uses his litany of powers to both neutralize Izzy but also hack Harry’s neural inhibitor. In the end DeVoe, takes over Izzy’s body for the next step in his not yet fully drawn plans. What’s next: Ralph invites Barry to join him as a private detective, which helps give Barry some much needed direction now that he’s no longer a crime scene investigator. Out of the blue, Cisco pieces together that DeVoe’s secret lair is in fact a pocket dimension folded into space time, which will be important when it becomes time to take the fight to him. 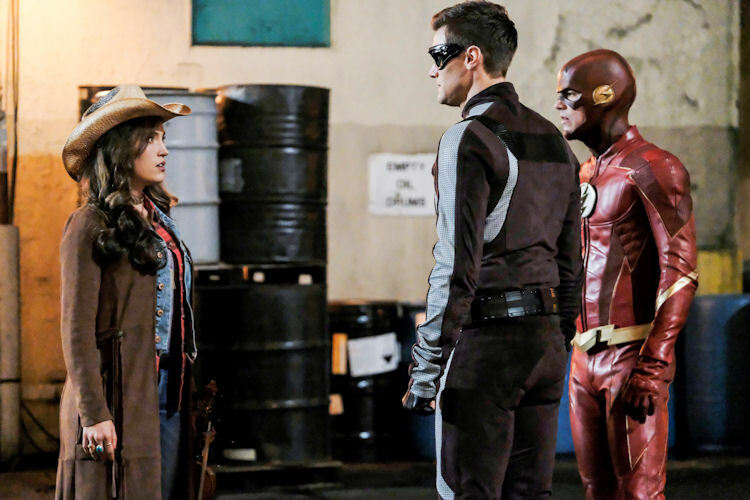 Last impressions: This was one of the most well-rounded episodes The Flash has produced in a while. There were jokes and light moments, but they didn’t go overboard. There was nice tension and the stakes were high for what became a battle for Izzy’s body and soul. DeVoe and exactly where his master plan is supposed to go remains spot where the show tends to bog down. It’s also hampered the speedster related action because Ralph’s stretching and new metas are eating up the VFX budget which has kept Barry from doing Flash things very often. That issue aside, the tone course correction did wonders for this episode and fingers crossed that the writers keep following this path. Previous story The Path, ‘The Door’: What Does Kodiak Know?